Prohibition Agent Horace Thorwaldson was driving his Government vehicle from Fresno to Stratford, CA, while attempting to apprehend a suspect who had recently abandoned a car loaded with liquor in Delano, CA. As he drove along the highway, another car cut him off. When he attempted to stop on the wet pavement, his car went into a spin and rolled over. Agent Thorwaldson suffered a fractured skull and was rushed to the local hospital, where he died from his injuries. 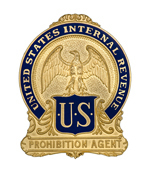 Agent Thorwaldson joined the Prohibition Unit on December 16, 1924, with an annual salary of $1,860. He was assigned to Fresno, CA. Previously, Agent Thorwaldson was with the Fresno County Sheriff's Department. 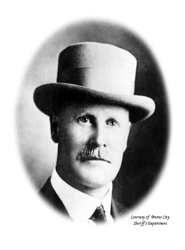 He served as Chief Field Deputy from 1911 to 1915, and as Sheriff from 1915 to 1918. Agent Thorwaldson was born in Dupivog, Iceland. He was survived by his wife, Cornelia, and their two children.